Now in the `Silver Jubilee Year’ (2010-11), the R.V.R. & J.C. College of Engineering, Chowdavaram, Guntur trains undergraduate and postgraduate students in Engineering and Management for award of degree from Acharya Nagarjuna University. Established by the renowned Nagarjuna Education Society (1967) in the year 1985, the College drew its initial impetus from Peoples Representatives, local doctors, charitable trusts and commercial houses of Guntur District. Today, it enjoys flagship status among the eight constituent institutions, that are governed by Nagarjuna Education Society. A total of companies conducted the campus placement drive for the students during the 2011-12 academic year. Campus: Now in the `Silver Jubilee Year’ (2010-11), the R.V.R. & J.C. College of Engineering, Chowdavaram, Guntur trains undergraduate and postgraduate students in Engineering and Management for award of degree from Acharya Nagarjuna University. Established by the renowned Nagarjuna Education Society (1967) in the year 1985, the College drew its initial impetus from Peoples Representatives, local doctors, charitable trusts and commercial houses of Guntur District. Today, it enjoys flagship status among the eight constituent institutions, that are governed by Nagarjuna Education Society. The founder-members of Nagarjuna Education Society and their successors have provided abundant inputs to turn a mere 3-course-180-intake College into a 14-course-1200-intake edifice by the Silver Jubilee Year. The premier status of the institution is made possible by sticking to our core-principles of student-focus, Human Resource Development and emphasis on total quality. Training the students beyond the defined borders of the curriculum is a basic emphasis, the college dearly practices. The college periodically tested its own standards and standing among the fraternity of colleges, securing Accreditation from National Board of Accreditation, AICTE in 1998, 2002 & 2007. The A.P. State Council of Higher Education (APSCHE) too awarded the second best rating in `Academic Audit and Grading’ in 2004. The Awards of Best Performing U.G. College in the university examinations, consecutively for the last three years and a place among the `Top-100 Engineering Colleges in the country completes our history of major achievements. The College practices the modesty of looking for new starting lines than be content with the finishing lines reached. We admit, we have miles and miles to go before we complete our mission. Central library: The Central Library plays an Important role in the college, it is situated to the north side of the main building. It is a separate building consisting of 4 floors. It caters to the needs of the staff and students of the college. Ground floor consists of OPAC Services (Online Public Access Catalogue) in addition to card catalogue, circulation, periodical section, Back Volumes and Digital Library. Mezzanine floor consists of lending books and Xerox Section. I Floor consists of Reference Section, Technical and Acquisition Section. II floor consists of Book Bank Section. LibraryThe library catalogue is available for search through Library Intranet. The Library has an active subscription for a total of 257 journals. In addition to the subscriptions for paper copies of the technical journals, library provides online access to some of these journals for faculty members. The library is also a member of DELNET. The Library is equipped with the TidalData UniVault xl1000 Digital Library Server. The digital library server has all the material from NPTEL (National Programme on Technology Enhanced Learning), MIT and Harvard Universities. The access to these resources are available from the Library computers. LibraryAn active team of 12 staff members led by Mr. M. Jagan Mohan render the library services. The library has photocopier facility for the users. The library also runs the government sponsored book bank scheme. Hostel: The College provides separate hostel facility for boys and girls. 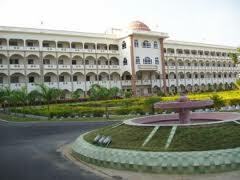 The girls hostel accommodates nearly 400 students and the boys hostel accommodates nearly 450 students. Preference is given for I B.Tech students in the hostel admissions. Strict discipline is followed in the hostels. The students are not allowed to use any electronic gadgets (i.e. cellphone, laptops, walkman etc.). The Hostels daily provides breakfast (with milk/coffee), lunch, Snacks (with milk/tea) and dinner. which monitors the running of the hostels. The hostel fees for boys and girls is Rs 26,000 /- per year which shall be paid at the time of admission. The hostel admission also requires a refundable caution deposit of Rs. 4000/- to be paid at the time of admission to hostels. The hostel fee should be paid in the form of DD only. For girls hostel the DD should be drawn in favour of NES WOMENS HOSTEL payable at GUNTUR. For boys hostel the DD should be drawn in favour of NES MENS HOSTEL payable at GUNTUR. The cultural activity: in the college is focused around the Clubs. There are clubs for fine arts, short movies, literature and books. What follows in this page is short description of the most prominent clubs in the college. Aim: The club is a student imitated literary club which primarily aims at tapering the literary skills that are vested within various students . To improve the interaction in the college between students from different branches. To enhance the creativity vested within the young minds of the students. The club generally organists a literary event which covers the general events held in the inter-collegiate festivals . The idea behind such organization of the events is to prepare the students to be comfortable on all fronts when they represent the college in events held at various fests . This also helps the students to familiarize with the present trends followed in various literal events at various levels . Yet another important aspect of the club is that it focuses on developing and sharpening the leadership skills and team spirit in the students. So that they will feel at home when they get to lead to a group or to act as a team member in their professional life. Thus the club aims not just at short term improvement of the students capabilities and skills but it helps the students to grow as a whole human being keeping in view the life that is ahead of them.